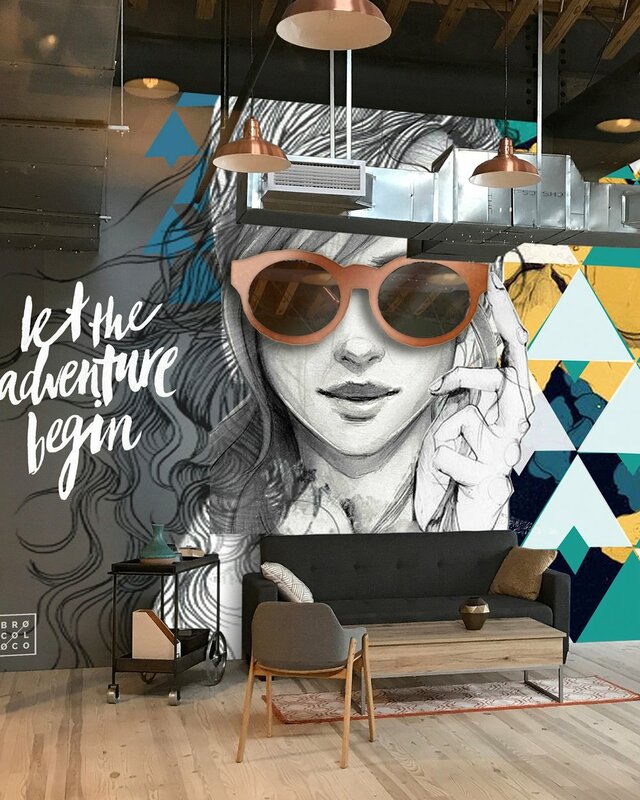 We craft art installations, murals, product, branding & architectural designs that connect companies with their clientele. I seriously get so much junk in my inbox. I can't keep doing this to myself. We transform common materials into uncommon designs. Join us in the studio for monthly get-togethers for the artistically appreciative and the creatively curious. Get cool videos, flashy projects or sweet events once a month-ish. Less face-to-screen & more face-to-face. Thanks friend! But seriously, don't wait up. Our passenger pigeon takes his sweet time delivering new content. CREATIVE CAPITAL is a web series capturing the creative process behind the Art Installations, Murals & Designs happening in and around our Washington, D.C. studio. Hosted & produced by Aaron Scales, BroCoLoco’s creative director, the show aims to spark creativity in viewers, believing everyone is creative, no matter what field you’re in, and the world needs the ideas inside of you. Ep 5 // Drawing a Life-sized Adult Coloring Book Wall Mural! Ep 4 // Painting a Street Art Style Indoor Mural! Ep 1 // AM I destroying my ART career?? Stop Being Too Perfect.